CTH is delighted to be able to announce that FTMS Global in Singapore has just received CPE approval to run CTH newly regulated courses. These are work based courses and offer opportunities for work based assessments so joining together academic learning in a vocational context. 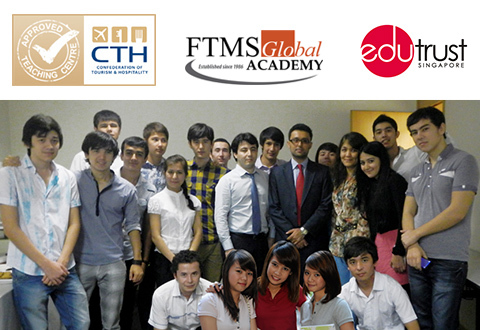 The CTH qualifications will enable FTMS Global (Singapore) students the opportunity to demonstrate how their learning can be applied in the workplace and assessed there. CPE have a strict regulation process requiring local professional endorsement and a thorough review of each qualification to ensure it is ‘fit for purpose’, is robust, has authenticity and relevance in the marketplace. Several CTH Centres are also going through the process of CPE approval but special congratulations are due to FTMS Global on their great success and being the first to achieve this recognition, well done!